We love misconceptions. The Internet’s full of articles telling you that everything you think you know is wrong, especially when it comes to history. Sometimes, we really do have the wrong idea about history. But sometimes, these “historical misconceptions” aren’t as made up as you think. If you Google “history misconceptions,” you’ll find more than a few articles saying that Nero didn’t fiddle while Rome burned. “The fiddle hadn’t been invented,” most of these articles say. “How could Nero have played the fiddle if it did not exist?” Even we have been caught out with this one! It might seem like a pretty airtight argument—as long as you don’t understand what figurative language is. Obviously, Nero didn’t literally play a fiddle—but he probably fiddled around. Different Roman historians tell the story of the Great Fire of Rome in different ways, but none of them make Nero look like a great guy. Cassius Dio and Suetonius both say that Nero started it and didn’t do a great job helping the people afterward. 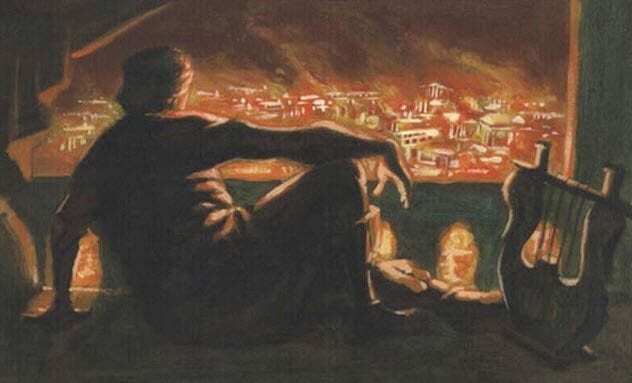 We don’t really know what Nero did when Rome burned. We do know, however, that everybody hated him afterward. So the odds are that he didn’t handle it particularly well. 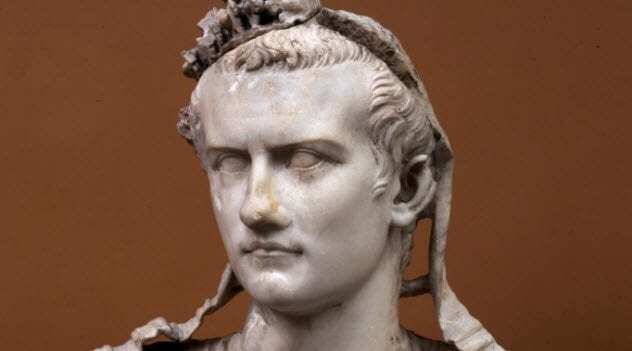 The Roman historian Suetonius tells a lot of crazy stories, but his best are all about Caligula. Suetonius is the source who claims that Caligula appointed his horse to the Roman consulship—a story that we now know to be an outright lie. How do we know it isn’t true? Well, our best historians closely read Suetonius’s account. Then one said, “That’s crazy! That’s gotta be a joke!” and wrote that down in a book. And so it was agreed that it never happened—because it is too interesting and interesting things simply do not occur. That’s it. That’s literally the whole argument. There’s no contradictory evidence or anything. Historians just think it’s a crazy story, and so we’ve decided it probably didn’t happen. Suetonius might be lying, but we don’t have any other information about it. When people say this story’s a lie, they’re just guessing—and plenty of other historians believe it really happened. The Greek writer Plutarch told us that a Spartan baby would be taken before an elder, who would decide if the baby lived or was left in a pit to die. For centuries, we accepted this as true—until a group of archaeologists checked that pit and didn’t find any dead babies. Plutarch, it was decided, was just making up propaganda to make the Spartans look bad. If the archaeologists are right, then Plutarch was behind the worst propaganda campaign of all time. For one thing, he wrote about Spartans killing babies under a section called “The Advantage Of Spartan Education And Marriage Customs”—suggesting he really thought it was a good idea. For another, the Athenians did pretty much the exact same thing they accused the Spartans of doing. At the same time that Plutarch was allegedly criticizing the Spartans for killing babies, the Greek-born physician Soranus was writing a paper called “How to Recognize the Newborn That Is Worth Rearing.” This paper encouraged parents to leave unwanted babies to die. It’s true, though, that the babies weren’t where Plutarch said we’d find them. That could mean that he made a mistake—or it could be related to the fact that 2,000 years have passed since Plutarch wrote about it. One thing’s for sure—Plutarch had no reason to make that story up. Photo credit: New England Chromo. Lith. Co. 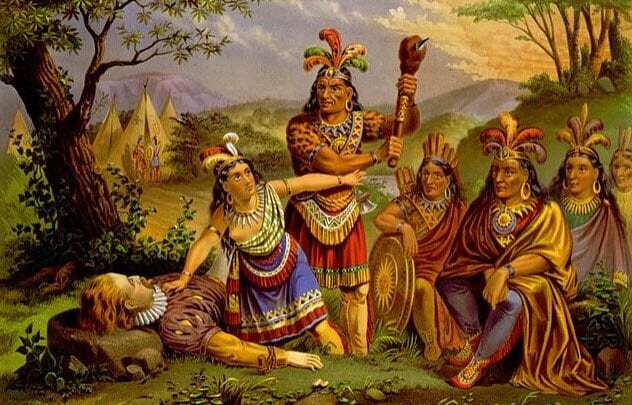 According to some people, the famous story that Pocahontas risked her own life to save John Smith might have been made up. John Smith, the theory says, made the story up to attach himself to Pocahontas’s fame. Professor J.A. Leo Lemay looked at this theory in detail and pointed out a few holes. For one thing, John Smith—who had already set up the first English settlement in North America—wasn’t exactly hurting for a place in the history books. He was pretty well-linked to Pocahontas already. Also, there’s no reason to believe that John Smith is a liar. Nobody disputed his story until 250 years after he told it. For that matter, there’s hardly any dispute about any of the other things John Smith wrote. So, either John Smith spontaneously decided to start lying about young Powhatan girls saving his life for some reason, or it just actually happened. 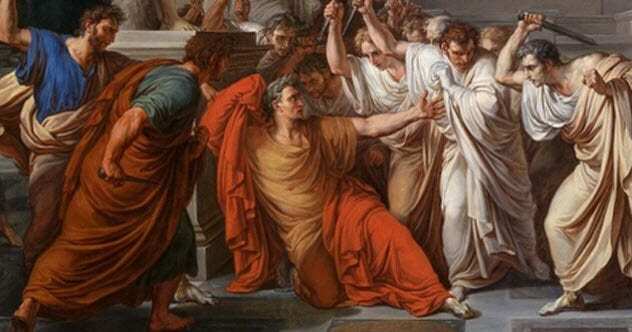 As some have pointed out, Julius Caesar didn’t really say, “You too, Brutus?” when he was assassinated. This is nothing more than a quote from Shakespeare, written 1,600 years after Caesar’s death. Several articles have been written about this shocking misconception—which has to be the most mundane misconception out there. As some have pointed out, we don’t know for sure that Caesar said anything at all. Even the people who wrote it down were just picking it up from bystanders and didn’t know for sure if it was true. If Caesar said anything, though, it was pretty damn close to what Shakespeare wrote. 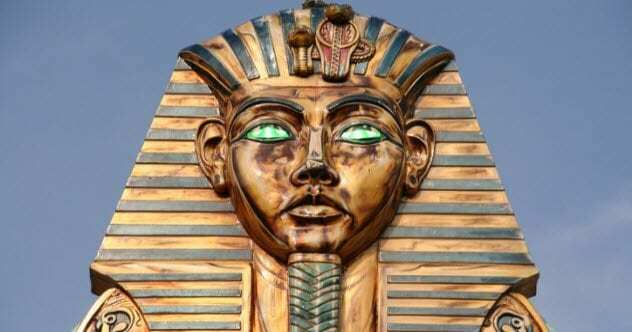 According to some shocking misconception articles, the pharaohs weren’t really buried with their servants. They didn’t kill off servants to take with them to the afterlife, these articles say. Pharaohs died alone. It would be a really surprising discovery that would change how we see Egypt—except that there’s nearly definitive proof that the pharaohs definitely took their servants with them. Archaeologists have found the remains of 41 people buried alongside the Pharaoh Aha. Some of them are children, and they didn’t die from natural causes. They appear to have been strangled to death. Aha’s successor, Djer, took it even further. He had 300 people buried with him. Some articles point out that we’ve only proven that the first dynasty of pharaohs did this—and sure, that’s true. 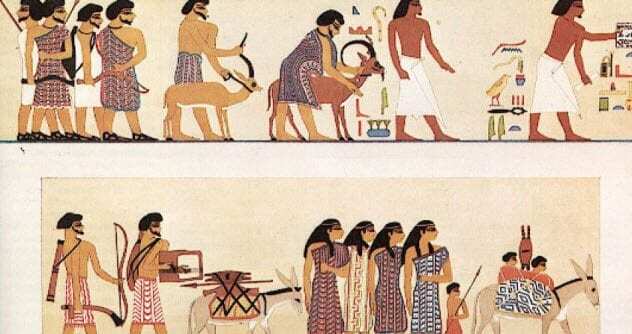 Eventually, over the course of 3,000 years, Egyptian culture changed. That’s definitely true—but it really shouldn’t be surprising. 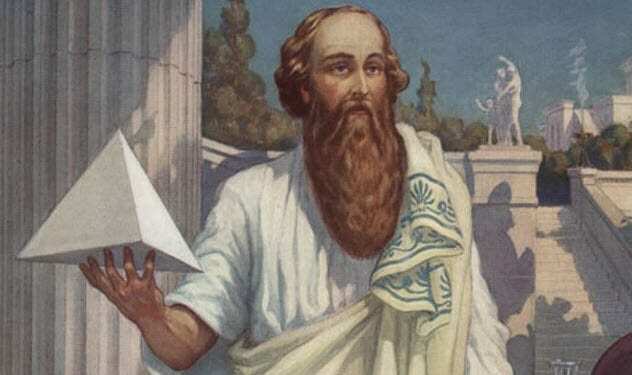 According to some people, the Greek mathematician Pythagoras may have never existed. Our only record of him, the argument goes, comes from his followers. Not a single word remains that was written by Pythagoras himself. That’s true—but it also happens to be true about almost everyone who lived in the sixth century BC. The only records we have of Socrates and Confucius, for example, come from their followers. By the same logic, we could argue that neither of them existed, either. The idea that Pythagoras never existed comes up in the odd listicle. But in the academic world, there isn’t much scholarly debate about whether Pythagoras was real. There are plenty of people who question whether he really did everything he’s credited with. But there isn’t much reason to believe that there was a big group of people pretending to be huge fans of a made-up mathematician. For years, Machiavelli’s The Prince infuriated people. How, they asked, could anybody support such a callous and cruel way of running a nation? Then Jean-Jacques Rousseau figured it out. What if, he suggested, Machiavelli’s just being sarcastic? Some claim The Prince is satire. It’s meant to be funny. It’s an idea that’s picked up steam recently. Machiavelli, the argument goes, espoused different ideas when he wrote about running a republic. 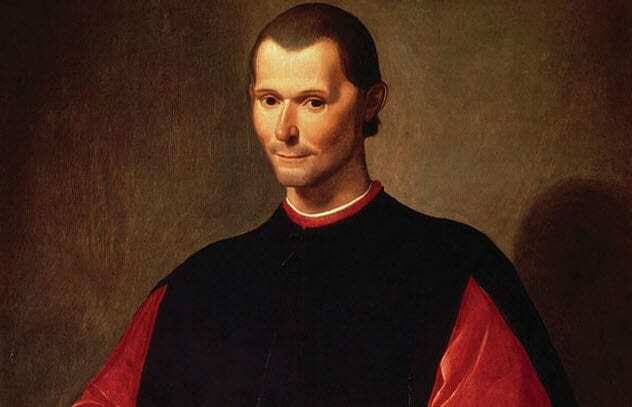 If Machiavelli gave different advice for different situations, they argued, then clearly he must have been kidding when he said all those things they didn’t like hearing. If they’re right, it would make The Prince an incredibly unique work of satire. For one thing, it has to be the first satire in history not to include any jokes. And it’s definitely the first book to spend 200 years in publication before anybody figured out that it’s just a joke. A lot of articles treat this theory as a fact—but it’s a controversial theory at best. Most scholars take The Prince at face value. Of course, you can always read The Prince for yourself. If you do, you’ll notice that—in one of the first sentences—he explicitly says that republics should be ruled differently. And you’ll definitely notice that it’s not a particularly funny book. 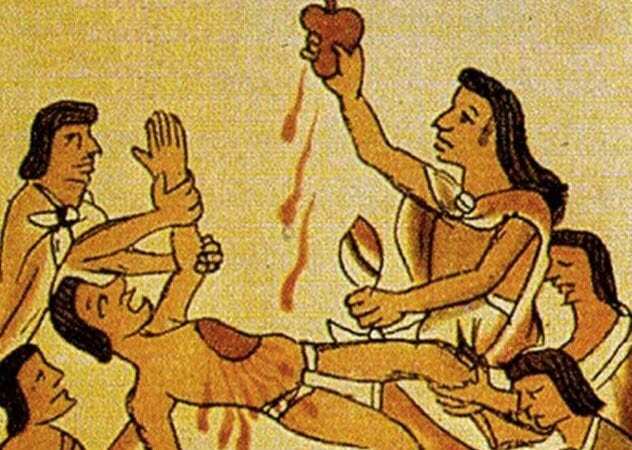 For a long time, we accepted that Aztec human sacrifice and cannibalism was pretty twisted—until Michael Harner came along. The Aztecs, he explained, were simply misunderstood. They were deprived of protein, he argued, and only resorted to cannibalism in a desperate bid to stay alive. It totally changed the way we saw the Aztecs—but it just happened to be false. As it turns out, the Aztecs actually had a massive variety of food available to them and weren’t suffering for protein at all. Harner’s theory was ruined—which was fine because it didn’t really make a lot of sense in the first place anyway. The Aztecs usually cannibalized people during the harvest when food was at its most plentiful. Plus, it was usually just the elite who got to eat human meat, and they would have had better access to protein than anyone. It would be nice to make the Aztecs seem a bit more reasonable. 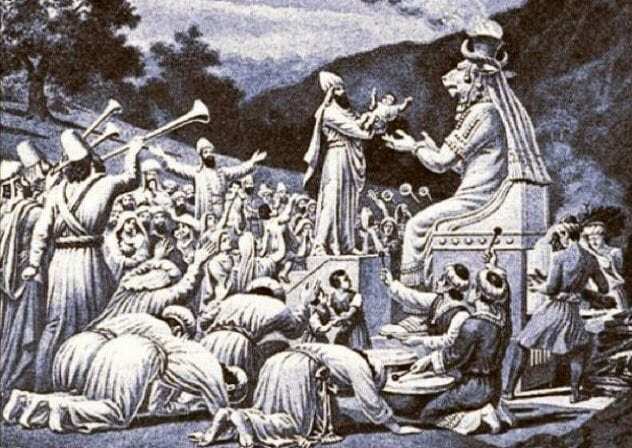 But as it turns out, they really were just performing ritual sacrifices for their dark gods. “Archaeologists have learned,” Ze’ev Herzog once wrote, “[that] the Israelites were never in Egypt.” It’s a pretty shocking claim. This isn’t just someone saying a Biblical miracle didn’t happen. He’s saying it’s proven that a major part of Jewish history never happened. Herzog isn’t lying. There really is no archaeological proof that the Jews were in Egypt or that they traveled through the desert. So it’s usually stated that the lack of archaeological proof is proof that the Jews were never there. And that’s true—there isn’t any definitive archaeological proof. But that doesn’t mean that it definitely didn’t happen. There are plenty of historians who disagree with Herzog’s statement. They point out that we do have records of Canaanite slaves in Egypt even if we can’t prove that they were specifically Jewish. We also know that by the fourth century BC, non-Jewish cultures were telling different versions of the story of Moses and that none of them seemed to doubt it. It’s true that there’s no definitive proof the Jews were in Egypt. But there’s also no definitive proof that they weren’t. Like most of ancient history, this is just another thing that we don’t know for sure.